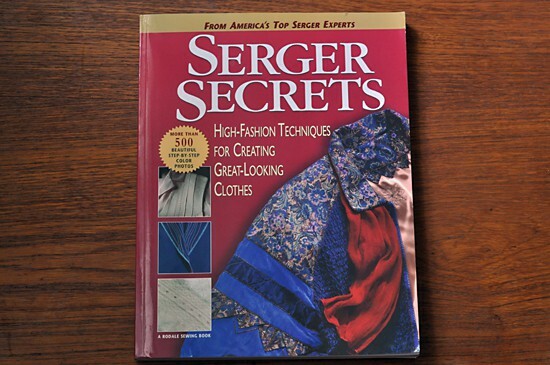 Sewing books comes in many forms and shapes, some are great while others are pretty redundant – I mean who needs yet another book with pictorials on how to sew an invisible zipper or hem a skirt? Especially if they show the same techniques that all the others sewing books do? I know I don’t, I’ve already got a few too many. Wendy Mullen’s books, on the other hand, brings new stuff to the sewing table. Mullen is the designer behind the Built by Wendy brand. Her claim to fame started with colorful guitar straps that soon became a hit among the indie crowd. Simultaneously the developed her own clothing line that now is sold in stores worldwide. Her first book Sew U was published in 2006. It contains three different patterns – skirt, jeans and blouse and a lot of different ideas on how to customize them. The book also has a great visual layout with clear instructions for every step. 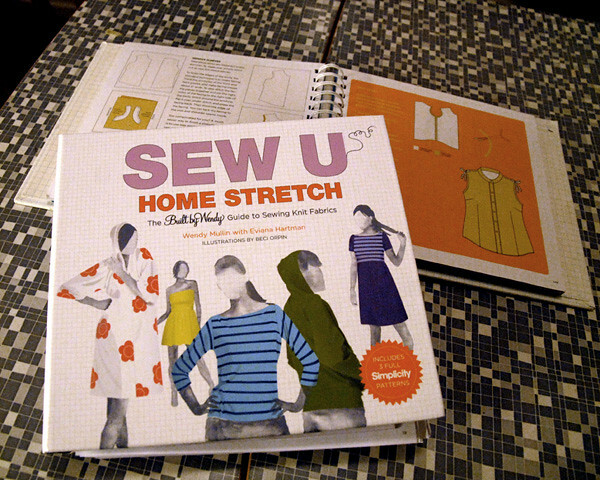 Her second book Sew U – Home Stretch came this year. This one is for knits and again there are three basic patterns – crewneck, raglan sweater and skirt/dress. And again she has a lot of great ideas on how to vary these seemingly simple styles. So why are these books so great? Well they manage to be both educational and inspirational. And both beginners and those who are pretty experienced will benefit from her books. I’ve sewn for 20+ years and still learned a lot of new things from Wendy. Her methods for how to sew jeans fly zippers, collars and assemble jeans are far superior to other methods I have tried, hers are both easier and looks much better. 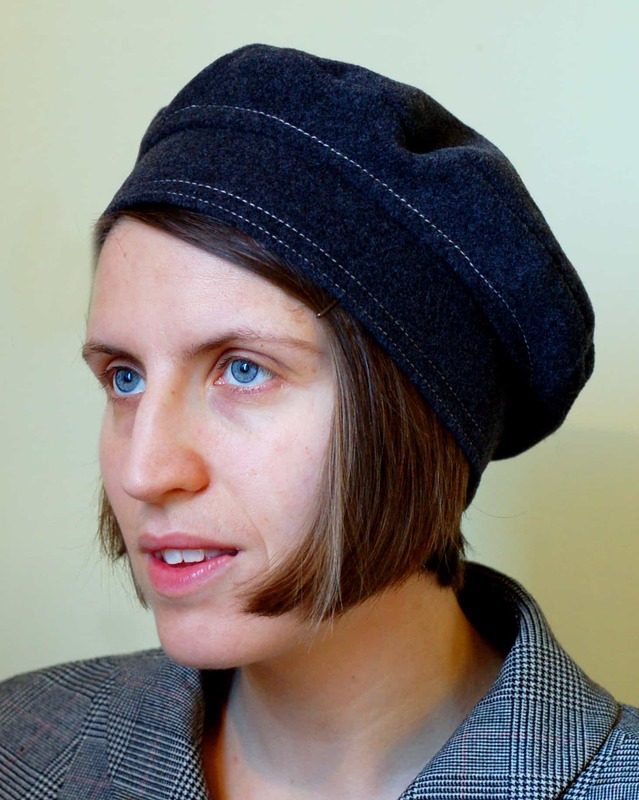 I suspect she uses methods that more resembles the clothing industry practices. I think the reason Wendy Mullen’s teaching style is so good is probably because she’s both a home sewer and an industry professional. She has an understanding of both worlds that really shines through in her books. Also anyone who names a chapter after one of the best songs ever, Love will tear us apart by Joy Division, just begs to be loved! Of course the books are not without fault, there are some annoying typos for instance and she doesn’t talk about fit at all, which I think is a pity since the books comes with patterns that many of us probably need to adjust in order to make them look good. I have tried all three patterns in the first book, they are pretty good, but not perfect for my body type, so I use my own basic patterns instead. But that’s really my only quibbles. In fact until Kathleen Fasanella makes a book dedicated to sewing techniques, I’d say that Wendy Mullen’s books are among the best sewing reading material available today. But do feel free to argue that point with me, I’m always open for discussion! I totally agree with you. I hadn’t bought any sewing books in a long time. There really was nothing new out there. But when I saw these books, I bought them right away. I like their approach, how she encourages beginners to go ahead and change up the patterns. And I learned a few new things too. Betty >> Thank you for your comment! 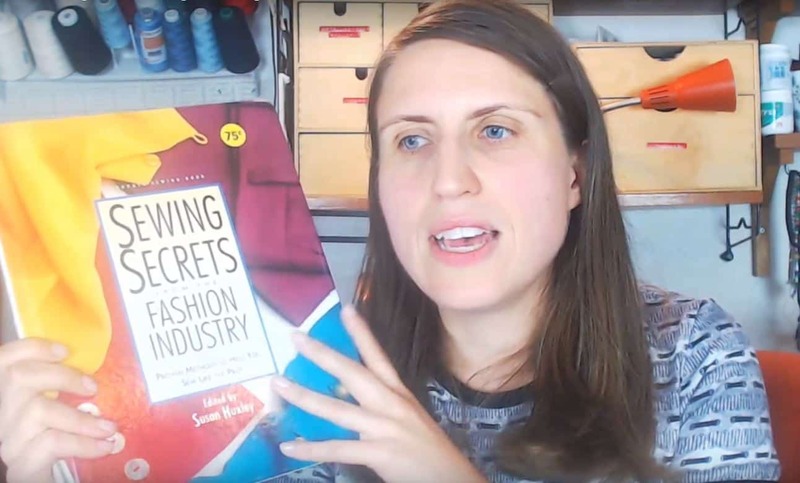 I too long for more new things and I am pretty sure there are areas that are still uncovered when it comes to sewing books.